Fun! Agudah and Hamodia are presenting radically different accounts of what happened at the big Agudah Leadership Mission to Washington. As reported here yesterday, Agudah permitted three women to participate in the event. Their pernicious participation was documented in an official photograph, a photograph posted on Twitter by Agudah's Communications Director. However, as first noted on my FB page and subsequently picked up by Rafi @ LifeInIsrael, who used to be a correspondent here, the pious people at Hamodia are telling a different story. Their report uses the same photograph, with one crucial difference: The women have been erased! What happens next? 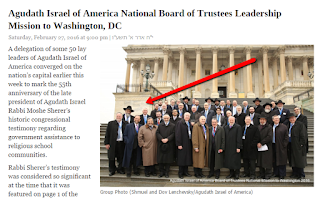 Will Agudah risk alienating their right wing by setting the historical record straight and affirming that woman were in attendance? Will they complain about the blatant lie being spread by this allegedly frum newspaper? Will the utter a word of protest on behalf of the dignity of their female members? 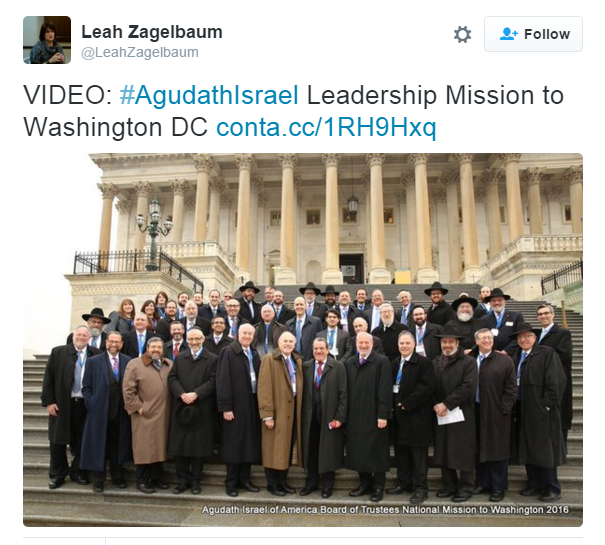 I'm guessing not, but Agudah may yet surprise us. UPDATE #1: Some have suggested that these are two different photos, which hardly changes anything. Why are we concealing the fact that women participated in the event? Why doesn't the article say that three women were there but are absent from the photo? More updates as warranted. 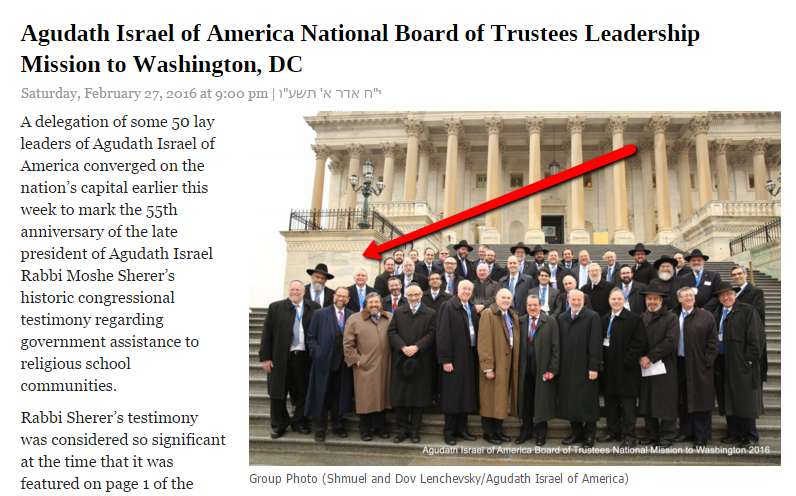 UPDATE #2: Yup, two different pictures, which means Agudah was a partner in the deception and the effort to discredit the women who participated. Imagine if your company asked all the black people to step out of the publicity photos on the grounds that some might be distributed to racist magazines. That's what this is. Legit dialect, or too soon? Which party is Moshe's party? Its not because he's black, right? What in hell has happened to the GOP? Steve Pruzansky supports Trump. Sort of.